Summer festival in Amsterdam organised by Paradiso and Air: "Boys who love girls who love girls who love boys who love boys... For all who love!" 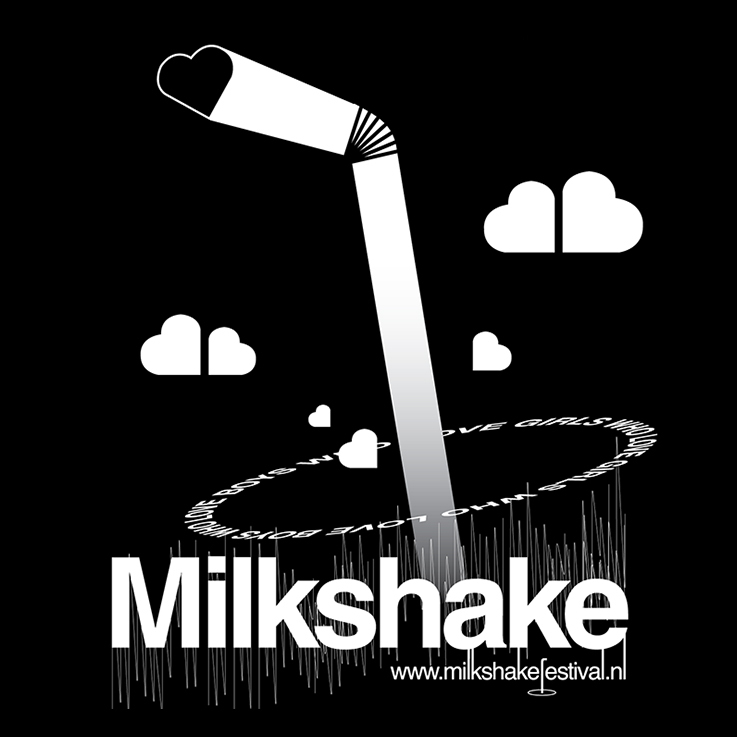 For its second edition in 2013, Milkshake held a design contest for the festival's T-shirt, limited to black & white (and reversible) and had to contain the original unworked festival logo, slogan, URL and the logo of the main sponsor. You were free to use both sides or only the front of the T-shirt. From all entries the jury nominated three designers for a final -public- voting, where the design with most votes/likes would be produced. My design was selected and finished runner up. For my design I focussed on the festival's slogan: For all who love..., and the worldwide symbol for love: a heart. With this basic shape combined in pairs, I could create clouds rising from a milkshake cup, relating to the outdoors, the typical cloudy Dutch sky and that love floats without borders. 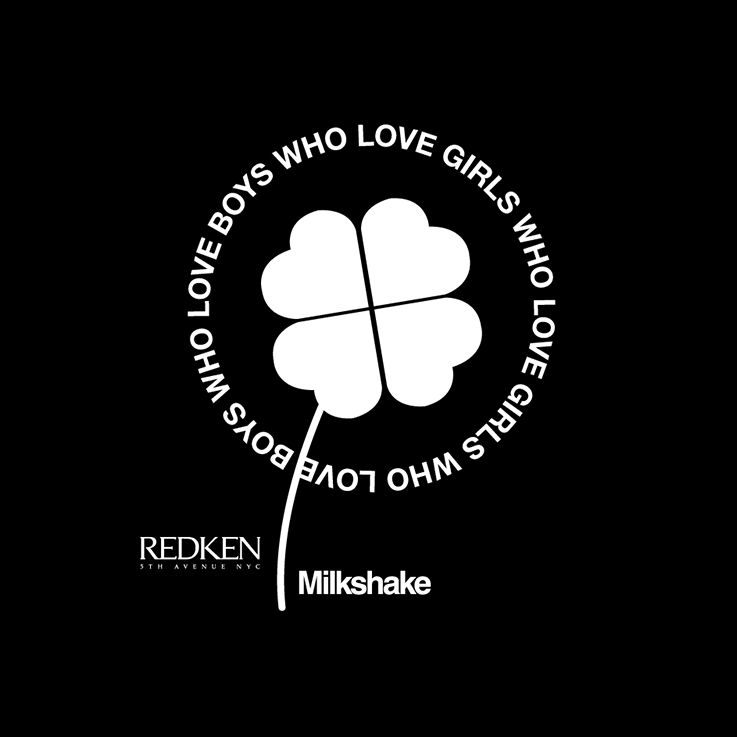 The end of the straw is a heart shape as well; gulp the love that is all around during Milkshake, or see it as an overlooking radar that spreads that loving feeling over festival grounds. The scratching behind the logo represents music as in an equalizer, movement (shake that milk or bum) and grasslands. On the shirt's backside I placed four heart shapes, creating a "lucky leaf" together (more ís better in this case). Each leaf is believed to represent something. First is love, second for luck, the third is hope and the fourth for faith. All perfectly fitting and meeting the festival's values; promoting love, diversity, tolerance, acceptance and freedom.